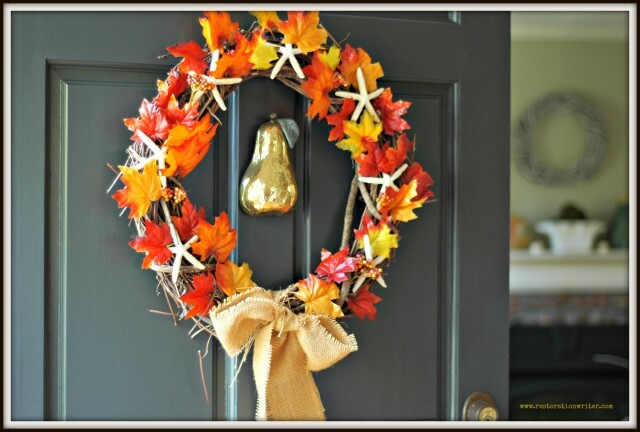 In honor of Flag Day, I’m completing my unintentional series on using one wreath to carry you through all four seasons. 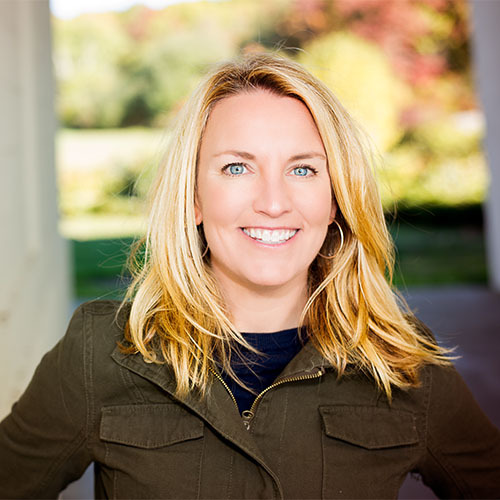 Have you been following along here and here? This has been one of those projects that pretty much took on a life of its own and it’s been a fun ride! 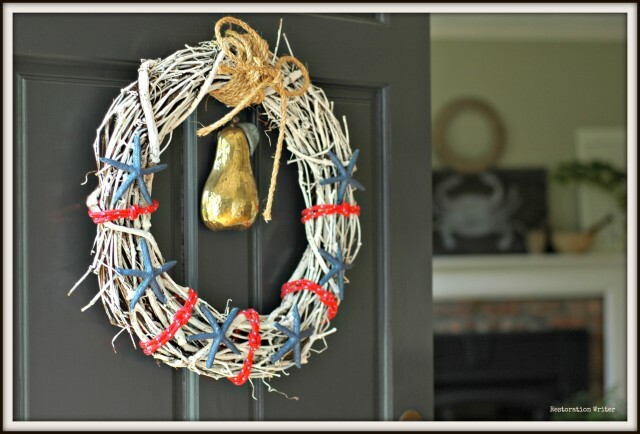 What I like best about ending with an American flag theme for the spring installment is that this wreath works for summer, too! And I know I can store it for use during patriotic holidays in future years. 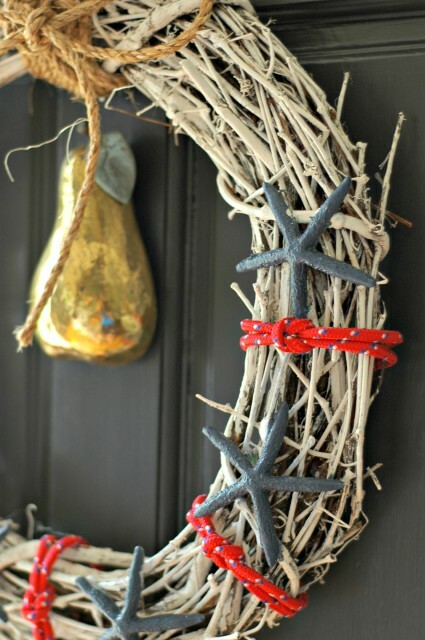 Last but certainly not the least, to prep the wreath for spring, I removed one starfish and the burlap bow. OK, OK you got me. 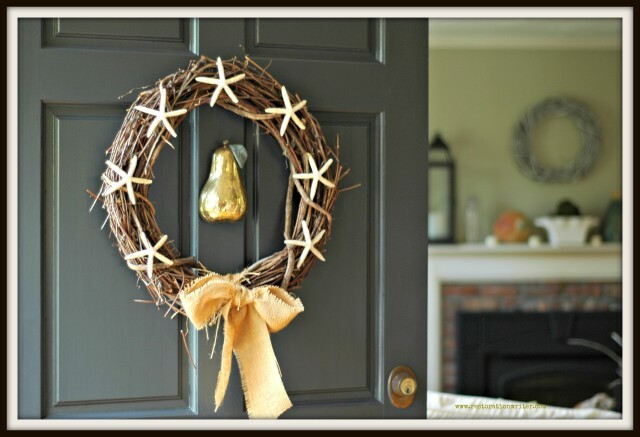 The wreath fell when someone was cleaning and one starfish shattered. 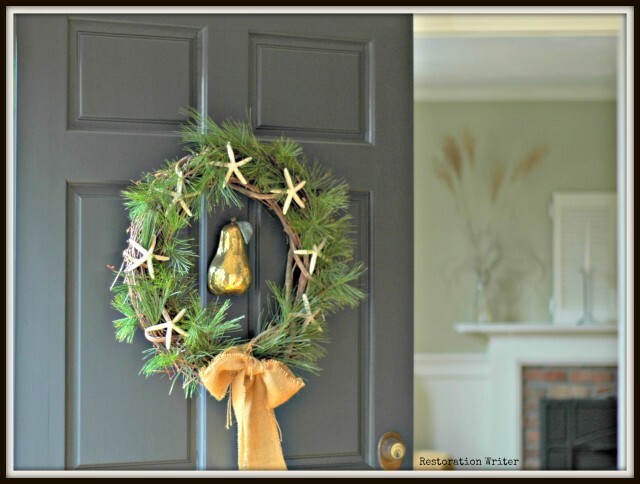 Anyway, with some leftover paint, I brushed white paint on the base (but didn’t fully cover the grapevine) and layered navy paint on the white starfish (without removing them from the wreath). I tied nautical rope with square notes to represent the “stripes” of the American flag and secured the loose ends in the back. I turned the wreath the opposite way it had been hanging throughout the other seasons and added a hemp bow at the top. This last transformation was a wee bit more labor intensive than the other seasons but I’d say it took about 30 minutes total. What do you think? 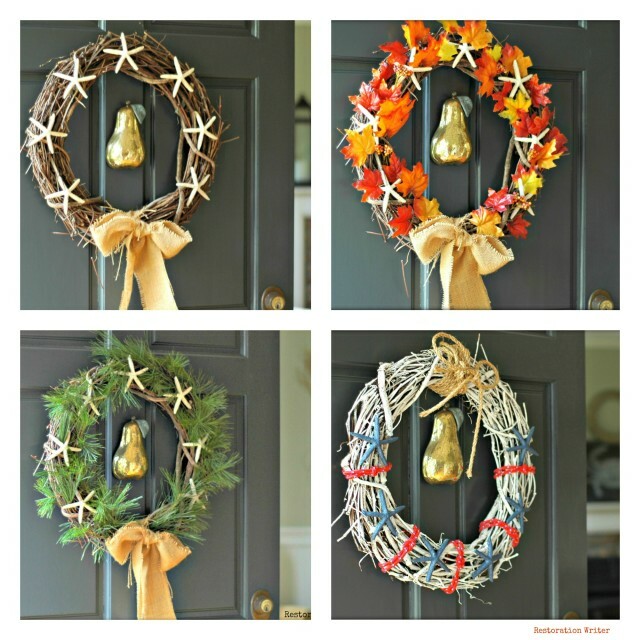 Do you have a wreath lying around that you could use in a similar way? O Driftwood Tree, O Driftwood Tree!